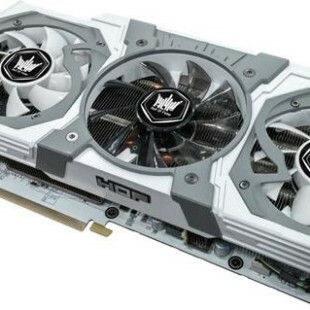 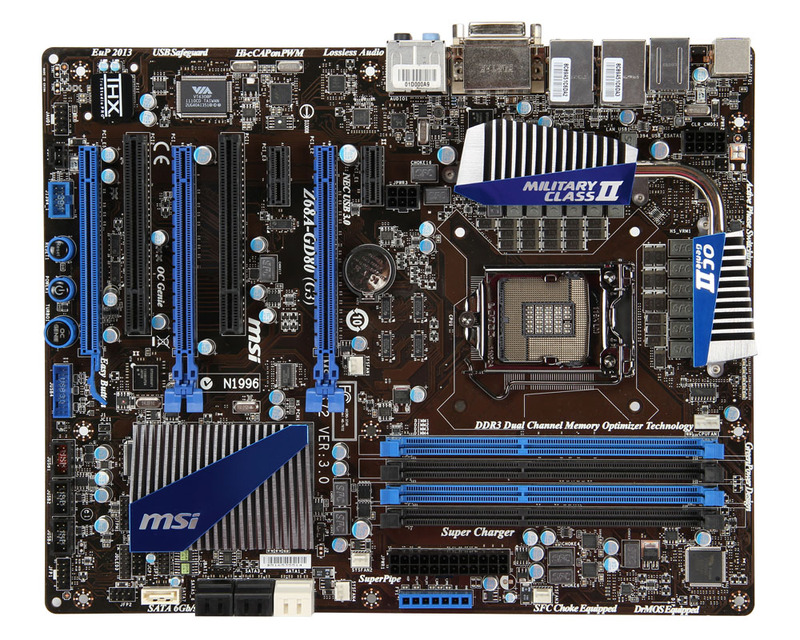 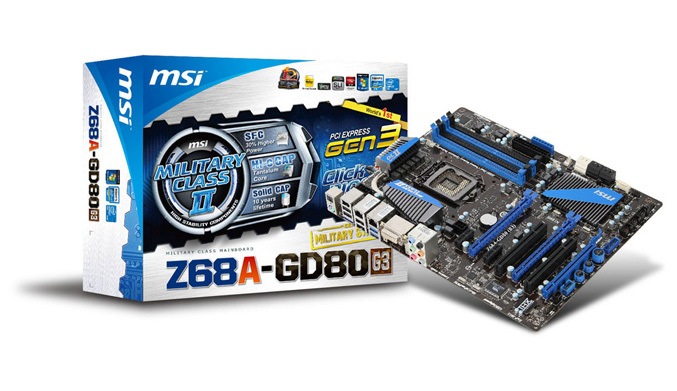 Taiwan-based computer hardware manufacturer Micro-Star International Co (MSI), has launched the Z68A-GD80 (G3) mainboard, which as they says, is the world’s first motherboard armed with PCI Express Gen 3 that offers ultra-high 32GB/s transfer bandwidth. 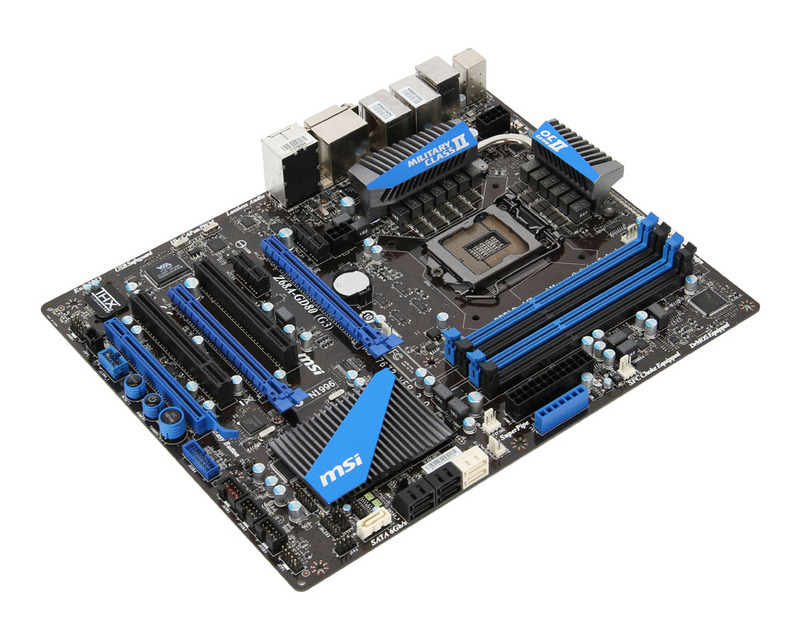 This LGA1155 mainboard is equipped with three PCI-Express v3.0 slots that provide a data transfer rate 200% faster than PCI Express Gen 2, enhancing the performance of AMD CrossFireX and NVIDIA SLI multi-GPU solutions. 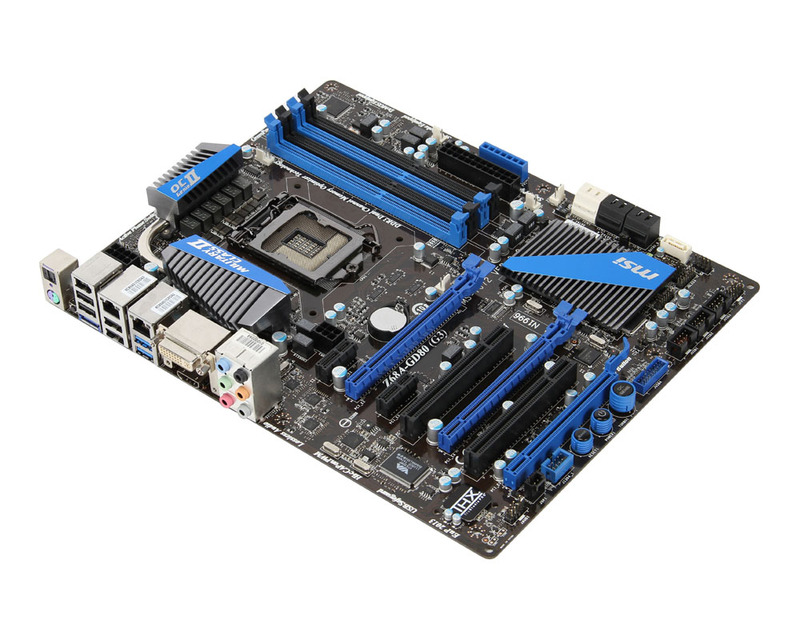 It also offers latest UEFI technology, Click BIOS II which features a homogenous interface both under Windows and the UEFI interface. 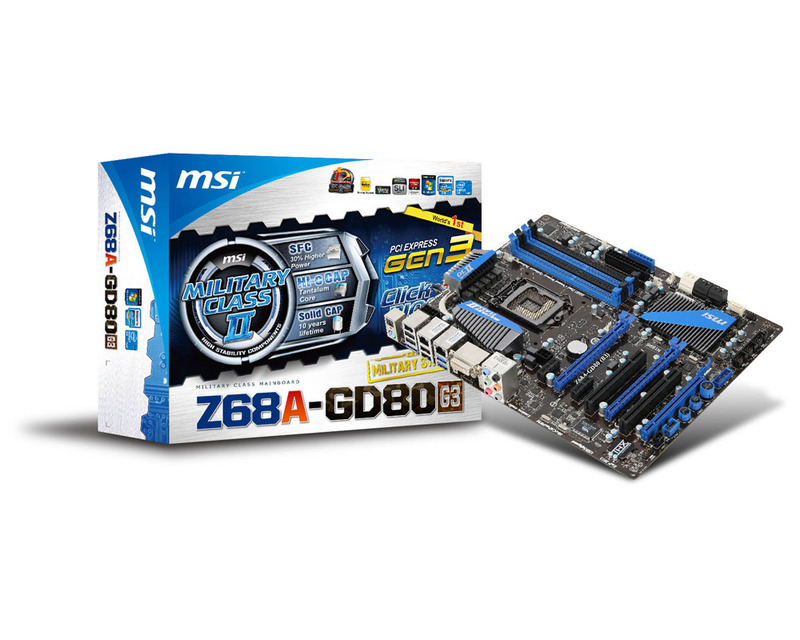 It utilizes MIL-810STD Certified Military Class II components and is also equipped with OC Genie II technology which increases the performance of hard drive up to “457%”. 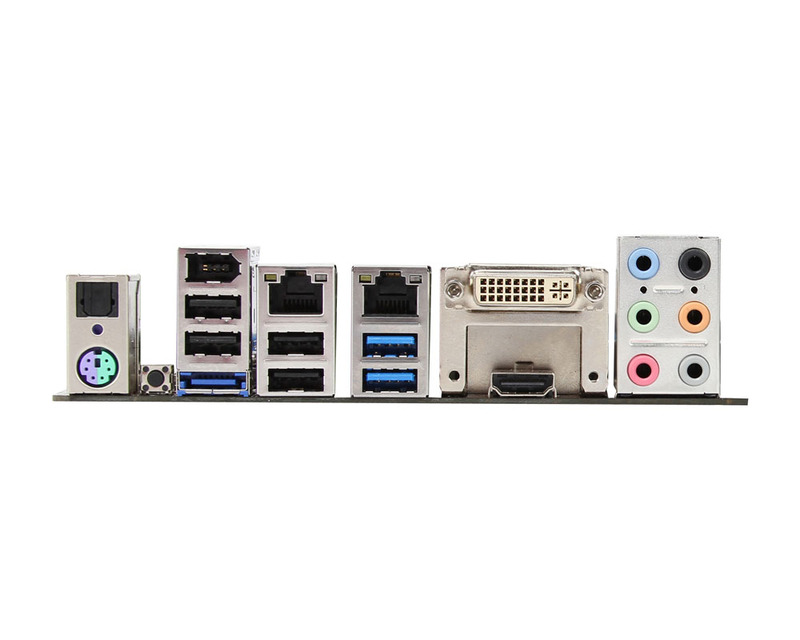 The board offers four DDR3- memory slots, ten SATA ports, FireWire and eSATA, two USB 3.0 ports, dual Gigabit Ethernet, 7.1 channel audio, and DVI and HDMI outputs.